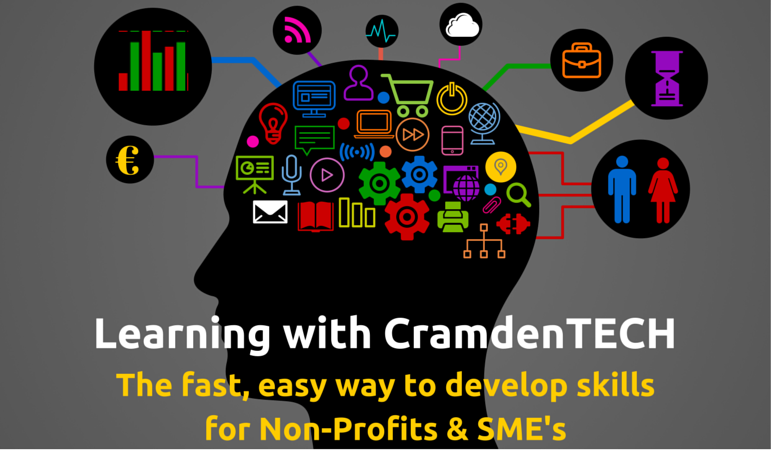 CramdenTECH develops cloud software applications, instructor-led training programmes and eLearning products for organisations in the Non-profit and SME Sectors. Our products and programmes are designed to help clients improve their ‘bottom line’ i.e. save money or increase revenue, sometimes both! If you run or manage a Non-profit or SME, you have plenty of work to do and very little time to do it! CramdenTECH looks for ways to help directors, executives, trustees, volunteers, committee members, owner-managers and committed staff find the best and fastest way to keep up to date with and implement best practice in governance, regulatory compliance and business management. CramdenTECH’s mission is to help clients do their jobs better, in as effortless a way as possible, 24/7. We deliver instructor-led training year round and manage software development and eLearning services from our base in Shannon, County Clare, Republic of Ireland. Find out more about our leading online Governance Management System – BoardPASS 365 – at www.cramdentechsolutions.com. See the range of governance training and management services offered to non-profit organisations and SME at www.boardpass.ie and www.boardpass.uk. If you would like to view the range of eLearning courses on offer by CramdenTECH, please visit the courses section of this platform.